AVIONEWS - World Aeronautical Press Agency - Elettronica Group on board the Fremm "Margottini"
Elettronica Group on board the Fremm "Margottini"
Elettronica Group is supporting this year the naval campaign of the European multi-mission Frigate (FREMM) "Carlo Margottini", launched from the naval base of La Spezia last January 17 towards the Indian Ocean the Middle East and the Arabian Sea (MOMA), to carry out activities of surveillance and protection of maritime traffic of national interest. Thanks to its long-standing experience in the naval field, Elettronica Group equips FREMM, within the Sigen consortium, with the Electronic Warfare System (EW) composed of the RESM (Radar Electronic Support Counter-Measure) subsystems, RECM (Radar Electronic Counter-Measure) and CESM (Communication Esm). Furthermore, Elettronica is the reference company for the EW capacity of the new naval program recently launched by the Italian Navy for the construction of the PPA naval units (multi-purpose off-shore patrol ship) and for the multi-role amphibious unit (LHD), refining the technological and integration level and aiming for a "leader" product on the market for technology, innovation and performance.  It is a complete EW capacity, (Resm/Elint, Cesm/Comint and Recm) with a high level of performance that can be considered as the most innovative proposal in Soft-Kill capacity. It is designed to meet the most challenging operational requirements of Naval Electronic Defense, both for Electronic Support and Electronic Attack, in Blue Water and in "Littoral" operations, combining the self-protection of the naval unit and high-value targets, with an advanced capacity both in terms of maritime surveillance and situation assessment. The naval campaign offers the great opportunity to present the "Sistema Paese", the result of the synergistic effort between the key players of the national defense industry and the institutions represented primarily by the Italian Navy. This is therefore a precious opportunity to exhibit the enormous Italian technological potential in the Defense segment in various strategic areas or with significant growth expectations, which is already being used by the national client. 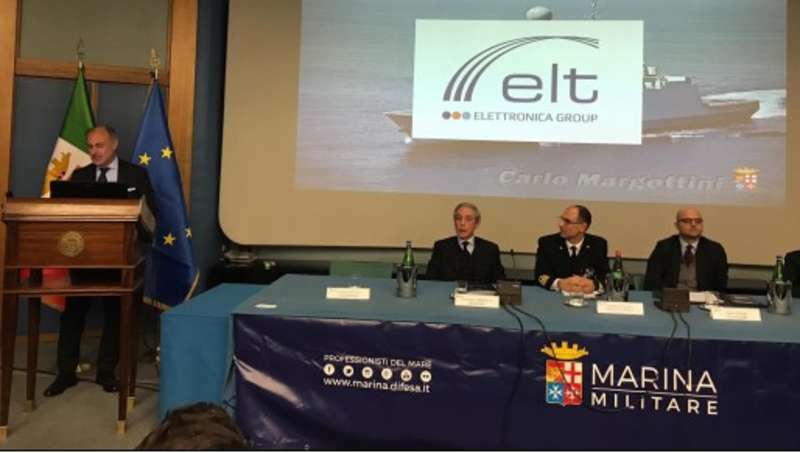 Giovanni Zoccali, Vice President of Europe & Consortia Sales of Elettronica, during his speech underlined how "Going compact allows us to transfer to the other marinas the clear message that 'naval Italy' is a reliable partner able to support them in all development and operational phases of their future programs. We believe in the Industry-Navy team and we work to ensure that the long-term use of the Sistema Paese is not a slogan but brings Italian excellence around the world, excellence both at a technological and operational level. Elettronica, world leader in the field of electronic defense and in particular in the naval field, assumes the task of protecting the Navy units guaranteeing the success of the missions". The "Margottini" after the stage in Karachi (Pakistan), will be in Abu Dhabi where it will take part in the "International Maritime Defense Exhibition & Conference" ("IDEX 2019"), the central stage of the campaign, when Elettronica Group will double its presence in the region participating simultaneously in "IDEX" as exhibitor and supporter of the "Margottini" ship, then in Kuwait City (Kuwait), in Damman (Saudi Arabia) and finally in Muscat (Oman). In addition to the Emirates in which the presence of Elettronica has been consolidated since the 80s, the Group has gained significant visibility throughout the Middle Eastern market based on its ability to provide advanced technological solutions and customer support that make Elettronica a recognized, reliable partner, aimed at identifying the most appropriate solutions for the scenarios and requirements of the region. The Elettronica Group systems are on board the most famous Italian Navy ships since 1960, from the "Garibaldi", to the Admirals and "Maestrale" classes and the "Cavour" aircraft carrier, without forgetting the Italian-French naval cooperation programs, and FREMM (10 Italian and 8 French frigates), with a total of 24 units. The advanced technologies available to Elettronica Group systems, ranging from strategic surveillance, self-protection and countermeasures covering all aspects of electronic defense (radar band, infrared and communication) to the applications of Cyber EW, Cyber Security and Cyber Intelligence, are a fundamental part of the systems on which the daily activities of the Navy and the Coast Guard are based in a geopolitical context characterized by asymmetric threats and in continuous evolution. In the modern battlefield, in fact, characterized by new and unpredictable threats ranging from terrorism to invisible cyber attacks, Electronic Warfare in all its components and declensions has become the asset that can prove to be decisive in achieving supremacy in a conflict that it plays more and more on the impalbable: the electromagnetic spectrum.